I’ve trumpeted the impending release a number of times, but I swear this is my final plug. I’ve got a copy sitting on my desk as I type so I can say with complete confidence that it turned out great. The Man Who Say His Own Liver was alright, but it was a pretty simple slim volume withot the fancy folding jacket and word-art. Rollins’ old essay and my preface only occupy a relatively small portion of the book. There are 303 pages of subversive goodness in there. I recommend especially the “updated abridgment” of Lucifer’s Lexicon, but even the acknowledgments and bio are funny. Nine-Banded Books announced the release here, the Hoover Hog did here. If you haven’t done so already, buy a copy. Amazon has gotten resupplied and should update their page in a few days, but until then you can use paypal (look on the side of the screen under “BOOKS”) or e-mail Chip. If you have a pathological fear of the internet I don’t know how you’re reading this, but in a week or so it should be available in such stores as Quimby’s, Atomic Books, Germ Books and See-Hear. I figured out that the libertarian theories of rights were bogus quite a few decades ago, but maybe I’ll buy this anyway on general principles. Meanwhile, the 60th anniversary of the Universal Declaration of Human Rights is coming up. This is a decidedly non-libertarian view of rights. Some bits of it seem weird or dated at this point. Nonetheless, it’s a better view of rights because it is quite consciously a declaration, a speech act. It doesn’t pretend that these rights are built-in features of the universe; they are things that mankind has collectively decided we should strive towards. Not everyone agrees of course, or there would be no point in making such a declaration. I hope there’s more to recommend Rollins’ book than his explosion of libertarian-flavored natural rights theory, which I also find, at this point, to be somewhat quaint. Necessary, but quaint. mankind != the UN, though as a Stirnerite discussion any of “humanity” in a non-positivist sense gets my alarm going. The Declaration of Independence also called itself a declaration, but it does pretend those rights are features of the universe made by our Creator. Much of the U.N’s declaration is fairly libertarian. They even restrict a person’s immigration (as opposed to emmigration) rights to the country they have already left and are merely returning to. Other parts of course are not. I have a hard time taking the U.N seriously considering the countries they’ve put on their Human Rights Committees and their Ashley Montagu nonsense. Don’t just hope, Chip. Know! Explain! As it happens, I posted that last comment from the SF Public Library which is yards from where the UN was founded in 1945. I took the opportunity to pick up a book on the history of human rights (Inventing Human Rights: A History by Lynn Hunt). Have just skimmed it so far, but it looks interesting and might even be acceptable to you folk (ie, while generally pro-human-rights she is quite properly skeptical of their “self-evident” nature as Jefferson put it). The UN != mankind just like the Fed government != the people of the US. They just happen to be one of the few institutions that is in any sort of a position to claim to speak for mankind. Do they do a good job? Compared to what? No book with a cover like that is gonna sell a lot of copies. Somebody is in the wrong field. Well, he rejects objective morality with some skill as well. 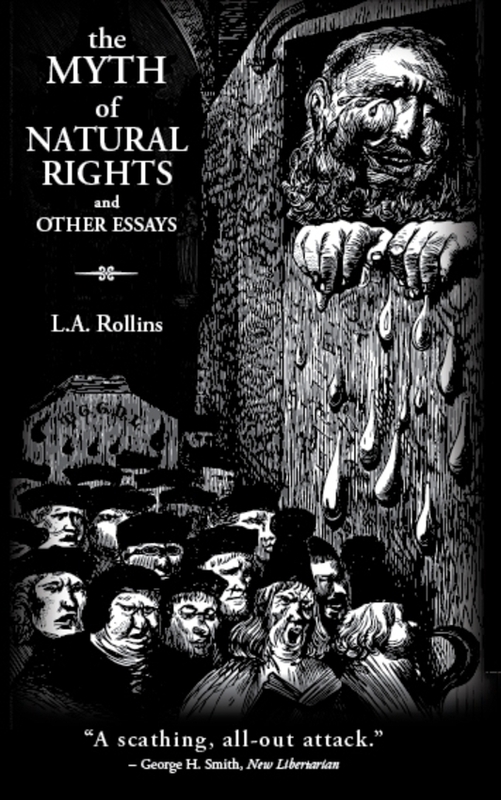 The Myth of Natural Rights section (along with my preface and Chip’s as well as Rollins’ reply to critics and afterword) only goes up to the first 114 pages. The whole thing runs to 303 pages, and I include the acknowledgments because even they are funny.